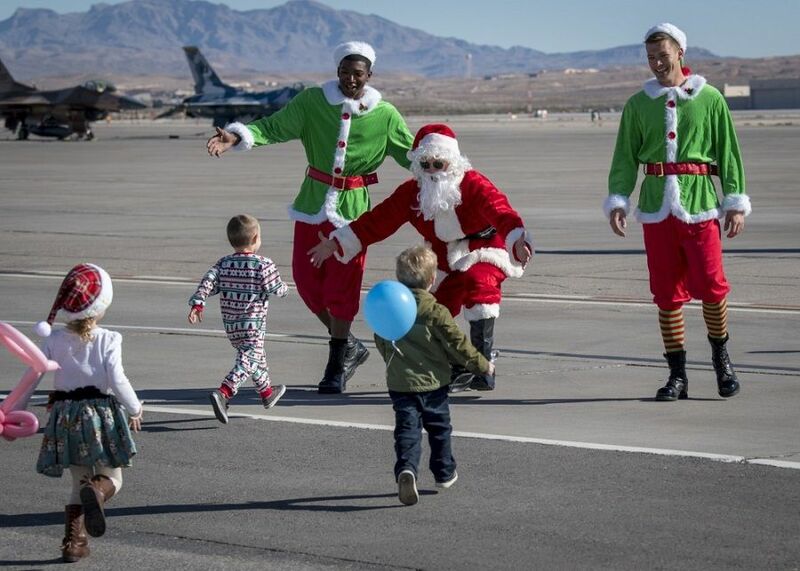 Santa Claus pays a surprise visit to children of the U.S. Air Force Thunderbirds team during their annual Christmas party at Nellis Air Force Base in Las Vegas, Nevada, on December 15, 2018. Merry Christmas to our service members and their families around the world. We are eternally grateful for your sacrifices.